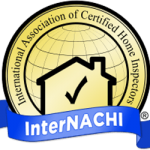 At Squared Away Home Inspections I do every inspection at minimum to the InterNACHI Standards of Practice. 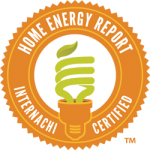 Every inspection comes with a detailed, easy to understand, fully illustrated report. I offer many types of home inspections. Pre-purchase Inspection: My most common type of inspection. I will give the home a top to bottom inspection to help arm you with all the information you need to move on with your transaction. Pre-listing Inspection: This kind of inspection is growing in popularity and is a great marketing tool when it comes to putting your home on the market! Give your buyers added confidence when looking at your home by letting them know exactly what they’re looking at. Also have the opportunity to fix anything that may get in the way of the sale before it ever becomes an issue. 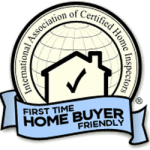 New Home Phase Inspections: If you’re building a new home, then chances are you want it to be perfect! I will go out to the building site several times at the critical phases of the building process to make sure the project is being completed to the high standards that you expect and deserve. Aging In Place Inspections: If you or a loved one has been in a home for a long time and has no intention of leaving anytime soon, its a good idea to get a professional set of eyes on it every once and a while. I can help to find any issues that may have developed over the years, and give you the confidence that the home will be a safe place to live for years to come. Water Quality Tests: Whether your water comes from the city, or from a well, I can help make sure the quality of the home’s water is suitable for you and your family. Wood Destroying Insects: Termites, carpenter ants, and other insects can wreak havoc on a homes structure, make sure they’re not in your home.